The Riverbero project opens Thursday the 9th of March through to Sunday the 12th of March 12-4pm, the official opening on Saturday the 11th at 1pm, we hope you can make it! Mak9 will be bringing the Riverbero project to East Belfast in March, 2017. Artists Alice Clark, Heather Dornan-Wilson, Gail Mahon and Stuart Cairns will be installing works in St.Martins deconsecrated church on the Newtonards Road reflecting their recent experiences from their residency in Pietrafitta, Italy. The exhibition is supported by Art Arcadia and the University of Ulster, Arts and Culture and continues mak9’s explorations of material culture, landscape and the human experience. Resonance of a region can carry in the cultural expression within individuals; their gestures, language and the landscape that connect, travel and are packaged within us. Ri-ver-be-ro is a sense of place through the interaction of people, its materials and cartography, connecting the relationships that will unfold between Italy and Northern Ireland through the artist response to an overseas residency and home territories. The image above was captured by all of us as we went walking through the village. It seems to have an order, a sense of something composed, curated and arranged. Yet it is simply a set of tools set aside, accessible as needed, a purely practical arrangement for the working day. To our eyes we see varying qualities of lines, tones and balance- the wire having a wonderful linear drawn quality about it. The patina on the wall looks like a great swathe of soft marks, like charcoal, forming grounds against which the other, sharper forms sit. 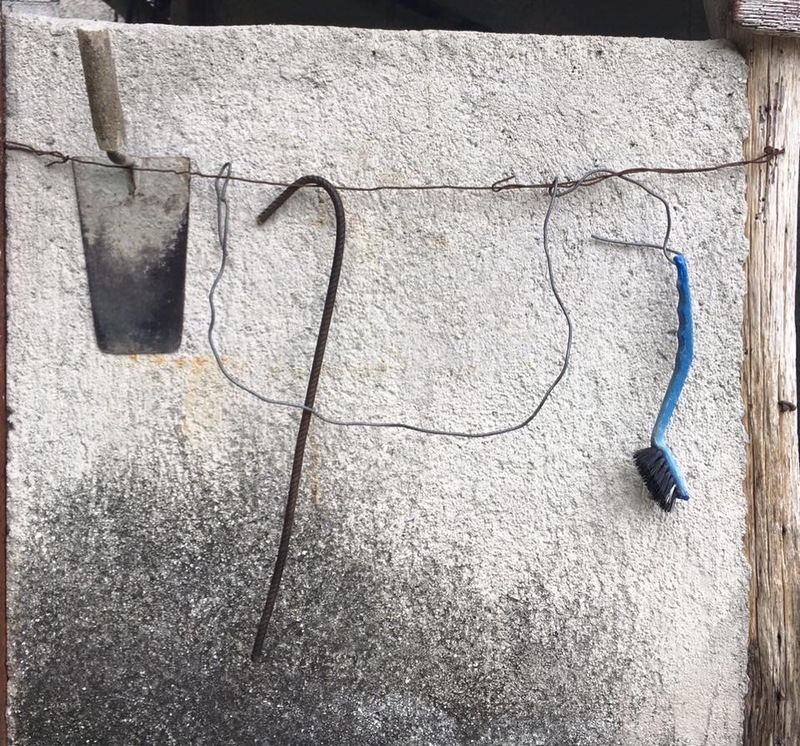 The forms of the tools sit with an implied sense of functionality- unknown to our strangers eyes, but known, in some sense, in our imagination. There is nothing grand about these things, no sense of ostentation and they are accessible for that as simple, understandable forms reflective of a pragmatic life. For those reasons this image connected us in a moment, a glimpse of implicit perfection. 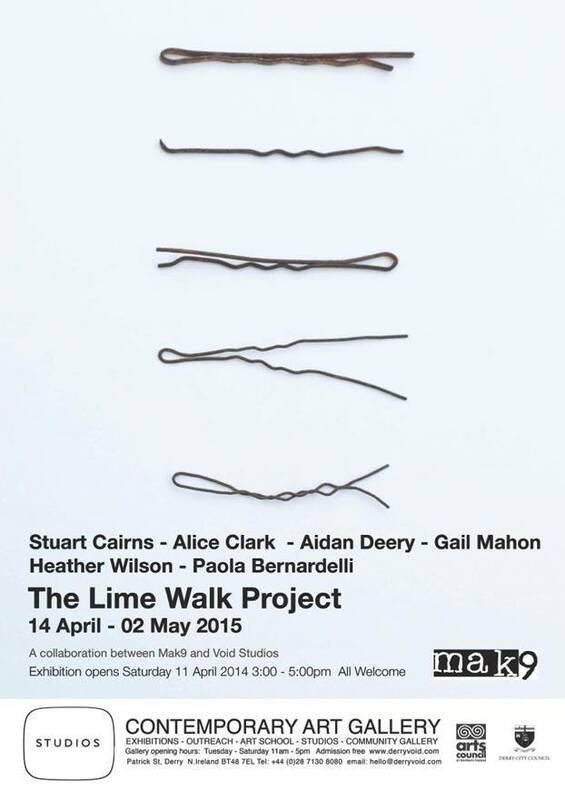 Mak9’s latest exhibition – the Lime Walk Project, opens saturday the 11th of April at 3pm, Void Studios, Derry. 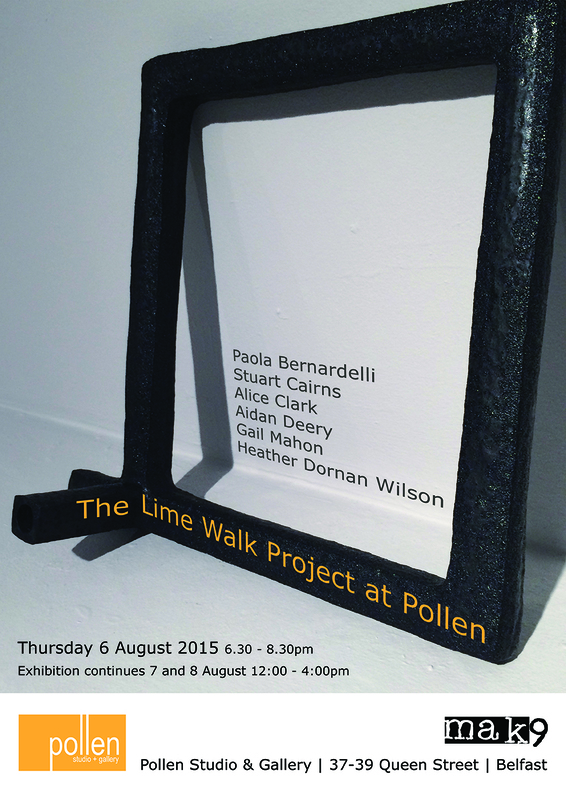 It is a continuation of the initial work carried out during their mini residency at Castleward last year and features work by Stuart Cairns, Heather Wilson, Gail Mahon, Alice Clark, Aiden Deery and Paola Bernardelli. Draw On The Walls- Open for October! 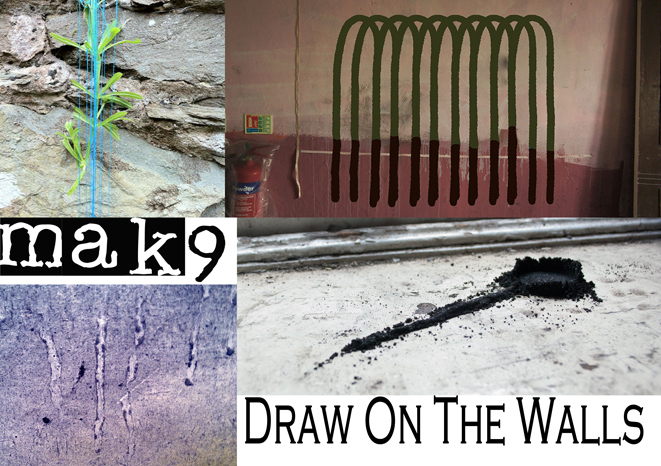 Draw On The Walls opened on saturday and is now open for October! Built Heritage Day- this weekend! 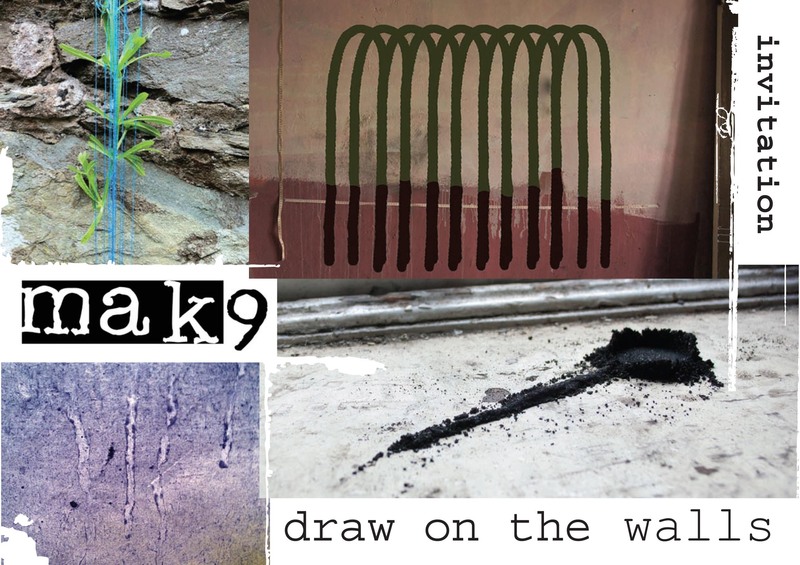 This weekend is the European Built Heritage Day and Mak9 will be in the Deanery with the Holywell trust offering a chance to look round the basement, meet some of the artists and get a sneak peak at the upcoming exhibition “Draw On the Walls”. 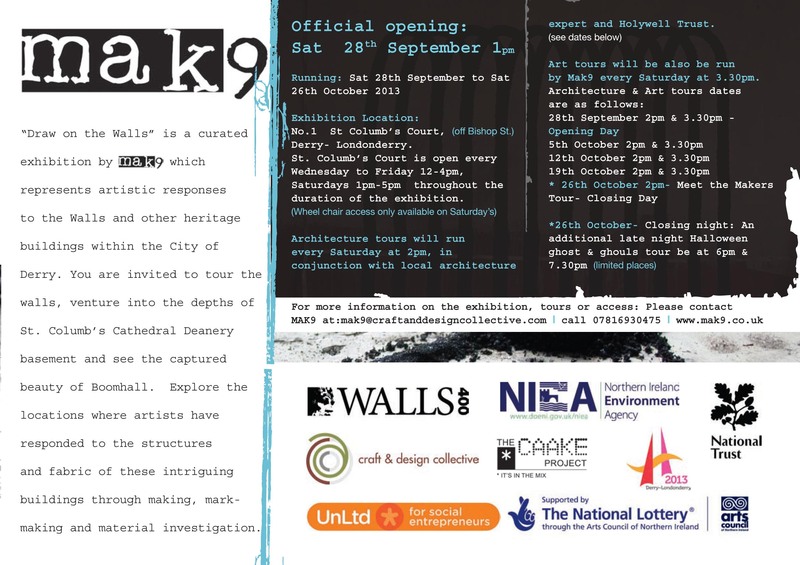 Join MAK9 and artists on the ‘MAK9: An Exhibition in the Making’ event, on the 14thSeptember during the Built Heritage weekend. Get a sneak preview of artists installing artworks in preparation of the Draw On The Walls exhibition. There they will be open to questions and discussion about their artwork and project development, which have lead to the creation of the handmade objects and sculptures, in response to locations such as Boomhall, the Deanery basement and the Walls of Derry City.